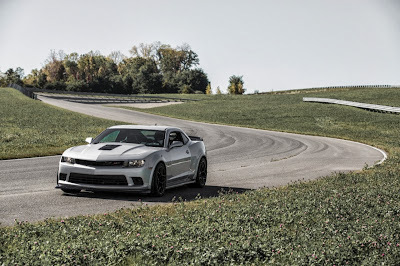 DETROIT – Chevrolet today revealed a video of the all-new, 2014 Camaro Z/28 lapping Germany’s challenging Nürburgring road course in 7:37.40, a time comparable with some of the world’s most prestigious sports cars. The team spent a week at the Nürburgring as part of the Z/28's performance-validation regimen, accumulating a total of 10 hours and nearly 1,000 miles on the track. Each lap took less than eight minutes to complete, despite having to overtake slower traffic at times. These hours are part of the grueling 24-Hour Test, which simulates a full year's worth of track use of track days or amateur-level competition at the hands of an owner. “Our cars' performance and capability have advanced tremendously in the past 20 years, which required us to continually improve the parameters of the 24-Hour Test," said McConnell.